We know. It’s getting cold, and it’s often wet. 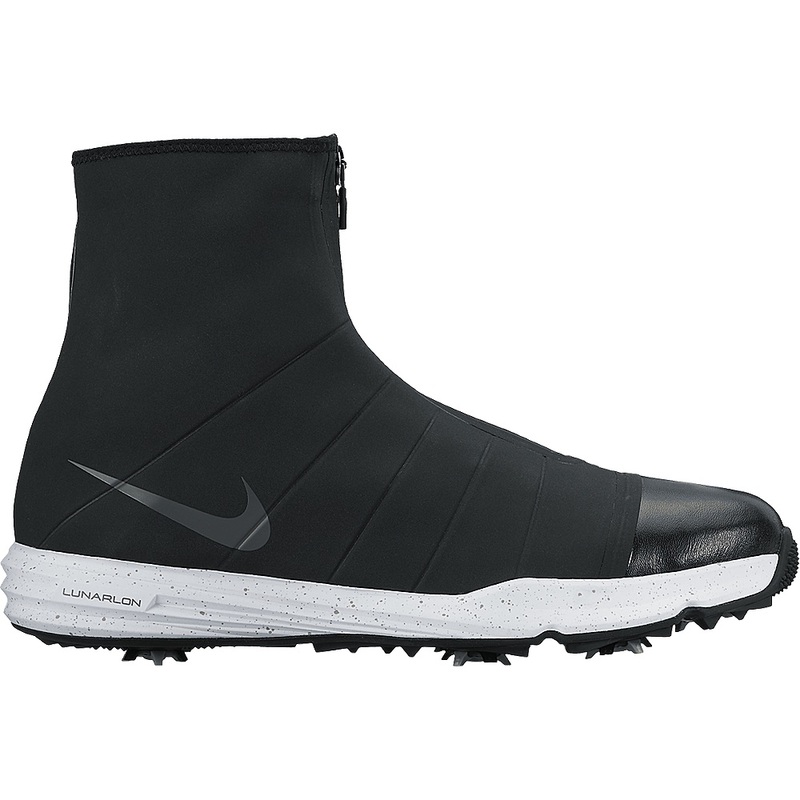 So if you’re gonna play some golf through the winter months you need to make sure your feet are dry at all times. And as a good as a pair of crisp white saddles might look in the summer, they don’t look great covered in winter rules mud. It’s time to pull out the browns and blacks and not look back. You’ve got to love the HYPERFLEX for being different. 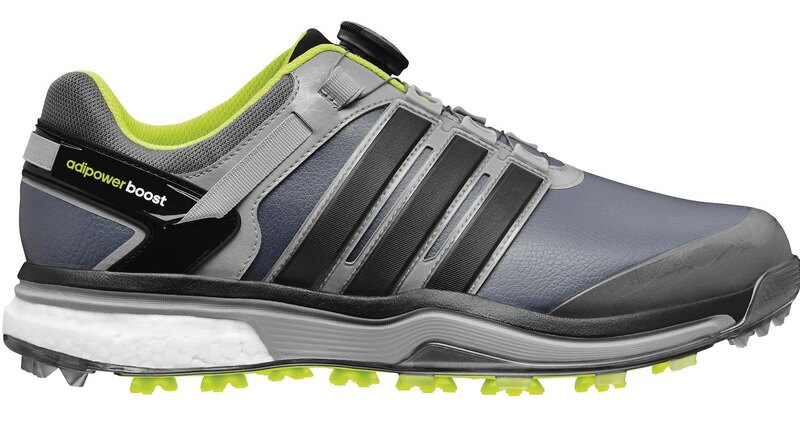 Whether it’s your style or not FootJoy went out on a limb with this shoe and it has been a massive success. The FlexGrid 2.0 exoskeleton upper defines the look of the HYPERFLEX but it is there for good reason. 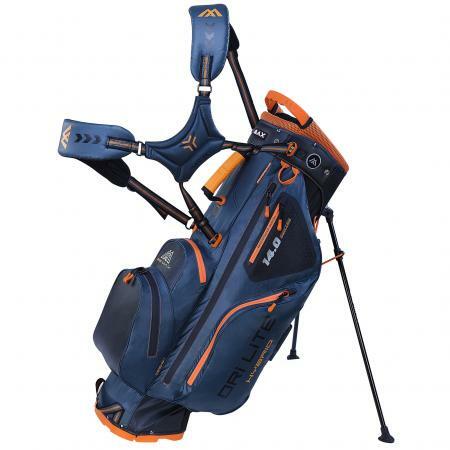 The soft, comfortable material controls the foot during the swing and retains its shape over time. The shoe features a breathable membrane, guaranteed waterproof for two years. The Next Evolutionary Outsole, (N.E.O. for those Matrix fans out there) is equipped with ‘Tornado’ SoftSpikes, perfect for those winter days when you need the extra traction. The Boost Foam on these shoes makes them feel like nothing else underfoot. We’ve found these so comfy, the Boost foam they’ve brought in from their running shoes is made up of thousands of TPU (Thermoplastic Polyurethane) energy capsules fused together by steam moulding. 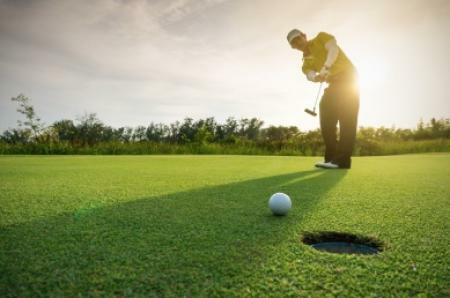 They store and release energy efficiently throughout the swing, delivering maximum energy return at impact. The Boa lacing system is great, as it means theres no trailing shoe laces in the mud. 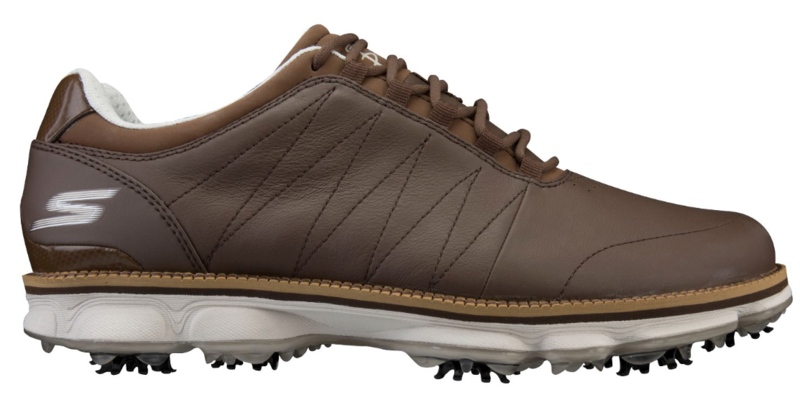 This GO Golf Pro model as worn by Monty and US Ryder Cup player Matt Kuchar is their first tour level golf shoe. The waterproof leather shoe is really comfy, building on their street shoes, and a comfort traction outsole gives you stability throughout the swing. Designed in conjunction with CASIS, the Center for the Advancement of Science in Space, this shoe literally came from outer space. The Titan Tour features Outlast cooling technology originally designed for astronauts suits, to keep your feet at the perfect temperature all the time. The premium full grain leather is fully waterproof and the Shapelock memory moulds around your foot for a perfect fit. This is the King LTD colour way. 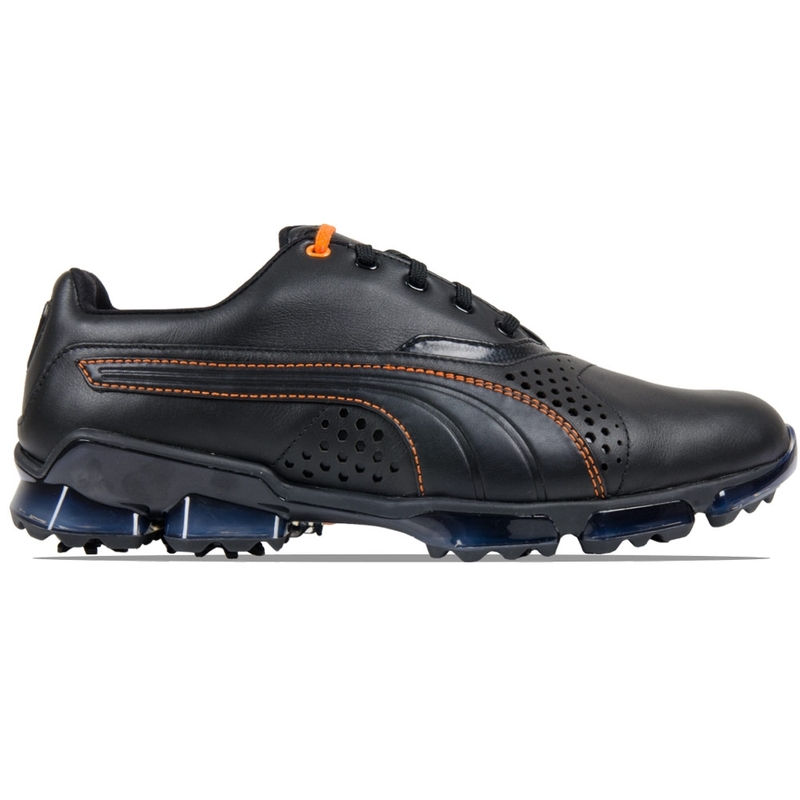 The latest golf shoes from Ecco are made from Caldera performance leather. Stain-resistant, easy-to-clean, soft, and supple. The full-grain cow hide is water-repellant via the proprietary ECCO HYDROMAX™ treatment. The unique, one-piece, DiP stability cage wraps from the heel through the midsole and across the toe box. There’s no mucking about here. 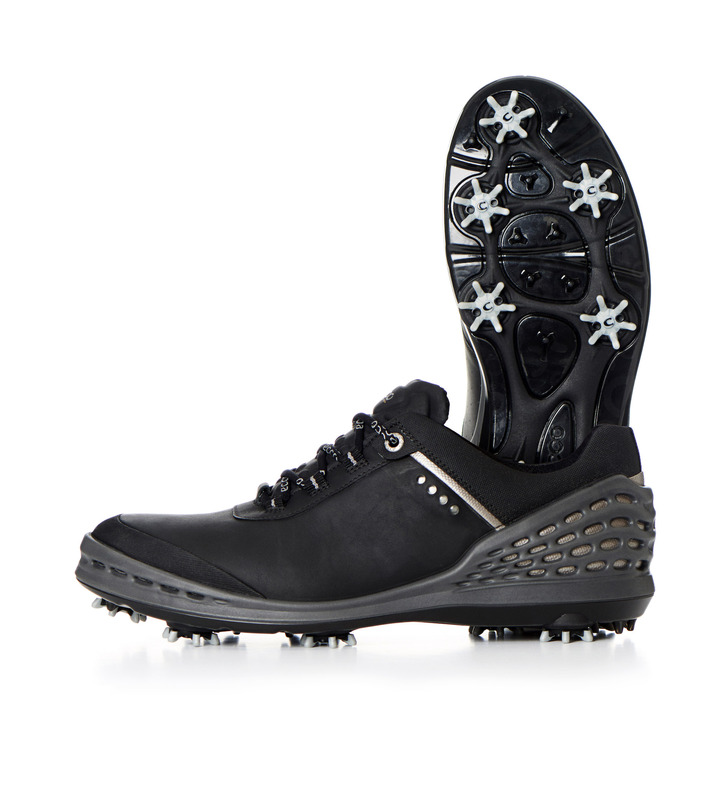 These are full on, winterised golf boots. The shoes designer James Arizumi said these should feel “like sweatpants for your feet on a cold and rainy day.” The inner layer is designed to keep your feet warm, while the zip up outer layer is designed to keep your feet dry and protected. Again an added bonus with these is your laces have no chance of ever dragging through the mud on a miserable winter day.